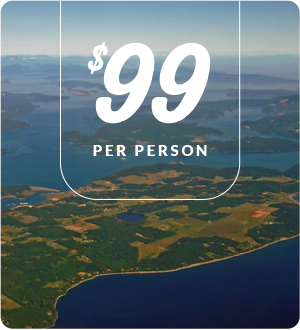 Fly to the charming seaside village of Friday Harbor or Roche Harbor on San Juan Island. 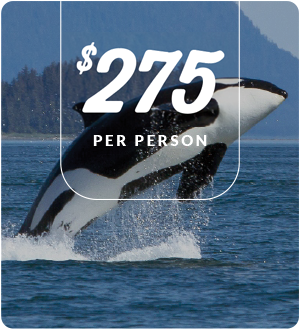 Enjoy the many shops and restaurants there before boarding a whale watch or kayak tour. Then fly home in the afternoon. 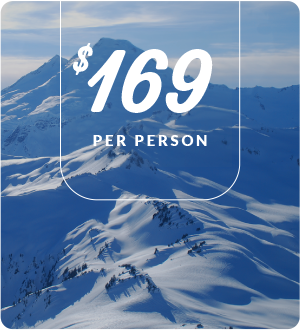 Soar past the summit of Mount Constitution and cruise the majestic coastlines of the San Juan Islands including Orcas, Shaw, San Juan, Lopez and Blakely Islands. The perfect island day trip! 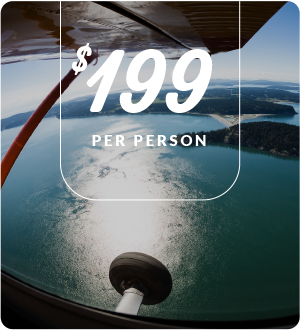 This three hour day trip incorporates the flying portions of a spectacular scenic aerial tour plus a two hour stop at either Friday Harbor or Roche Harbor on San Juan Island, or Eastsound on Orcas Island. Towering 10,778 feet above downtown Bellingham, Mt. Baker is Washington State’s youngest and northern-most member of the Cascade Volcanic Arc. With eruptions recorded as recently as the 19th century, guests on this one hour tour view the active steam vents of Sherman Crater. 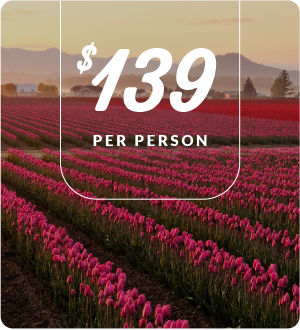 Why not skip the crowds this year and see the tulips from the air with the Skagit Valley Tulip Festival flight tours! The Skagit Valley Tulip Festival is one of the destination events for the Pacific Northwest, held from April 1-30. Got an idea for a cool scenic tour? Wanna fly over your house? Let us know what you’re thinking and we’ll try to make it happen. 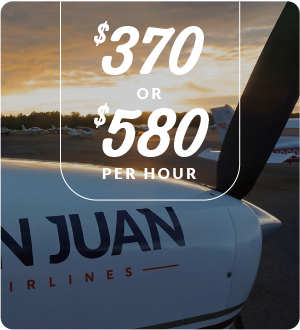 We charge $370/hr for our 3-passenger planes and $580/hr for our 5-passenger ones.